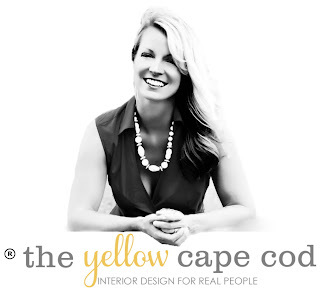 The Yellow Cape Cod Design Studio has openings for new online design projects! If you're interested in making a reservation, now is the time. Please click here for more information. 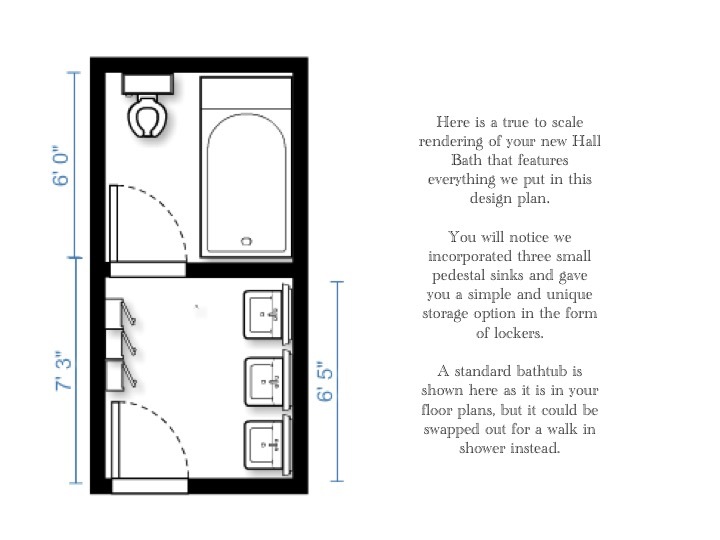 Throughout this past week, I've been sharing several spaces I've designed that are part of a Whole House Design Plan that I just wrapped up for a client. Today, I'd like to show you one of my favorite rooms in the house. The Boys' Bathroom. 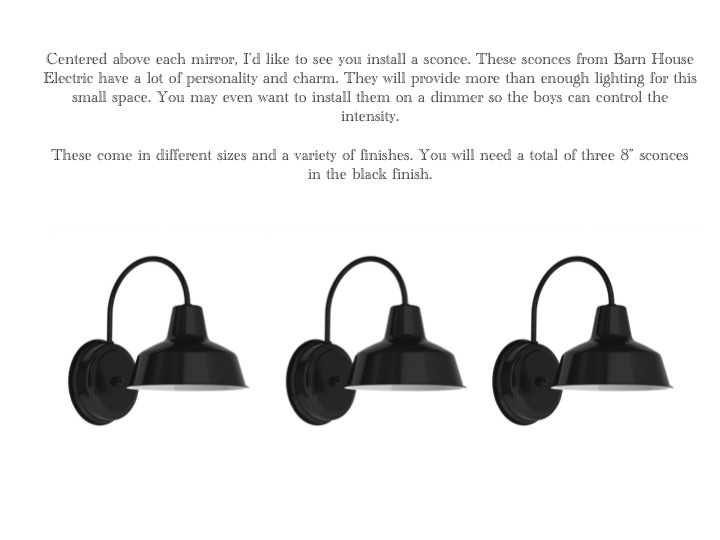 My client has three small children, all boys! 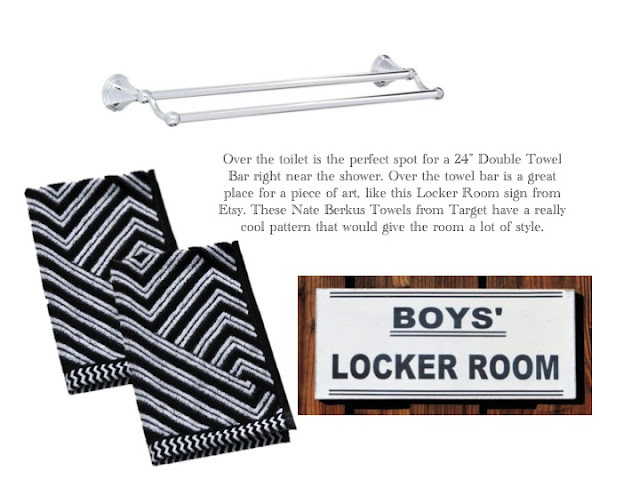 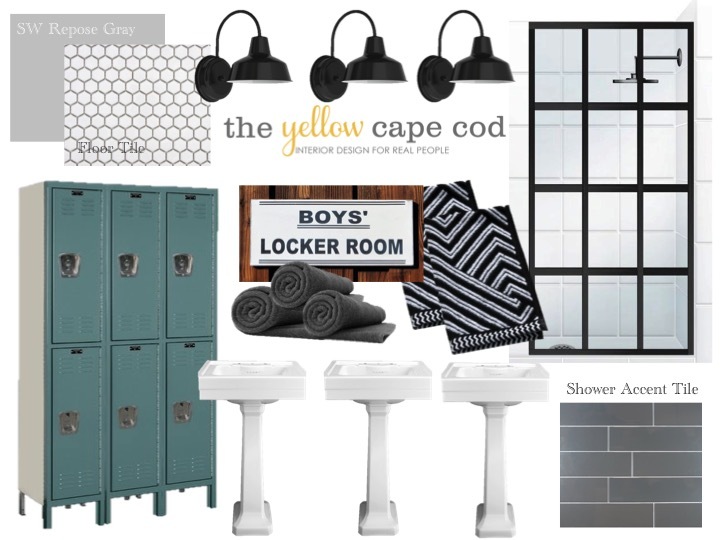 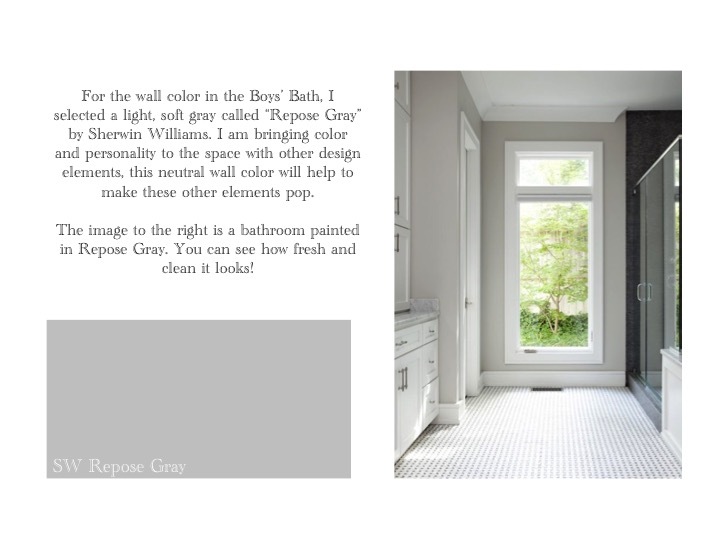 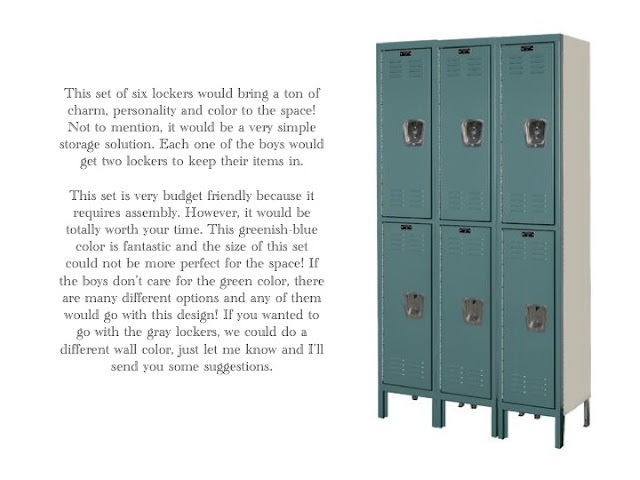 She requested a bathroom that features budget friendly elements and an attractive "Locker Room" inspired design that was practical for three boys. She also requested an attractive design that would flow with the rest of her home. 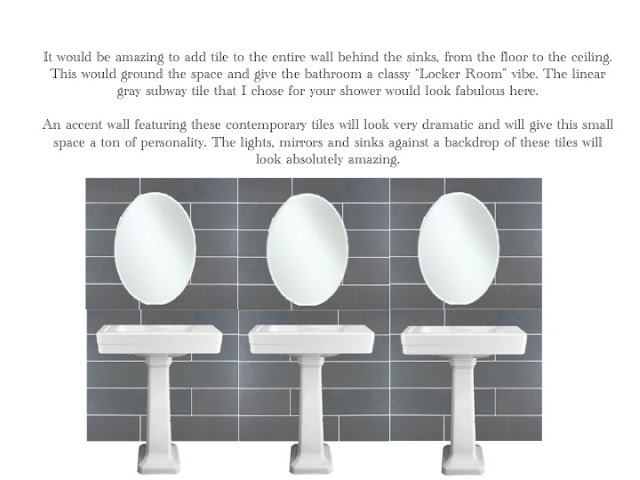 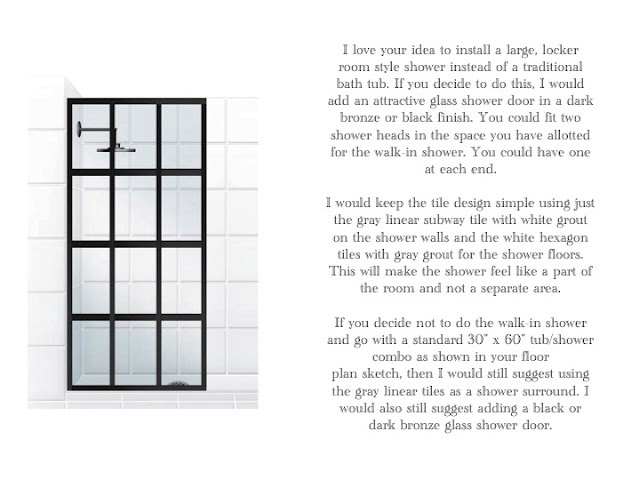 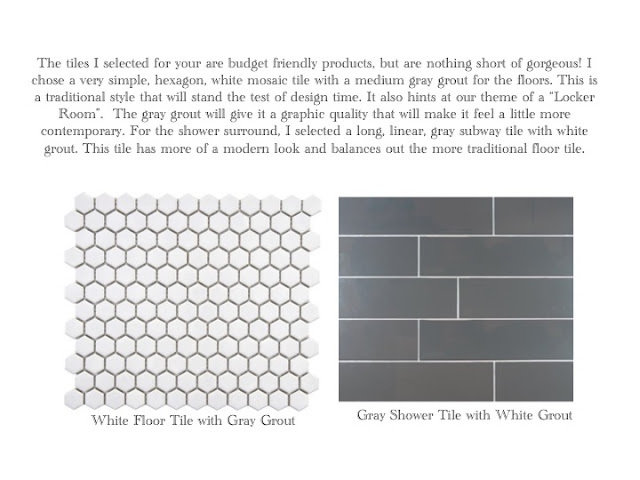 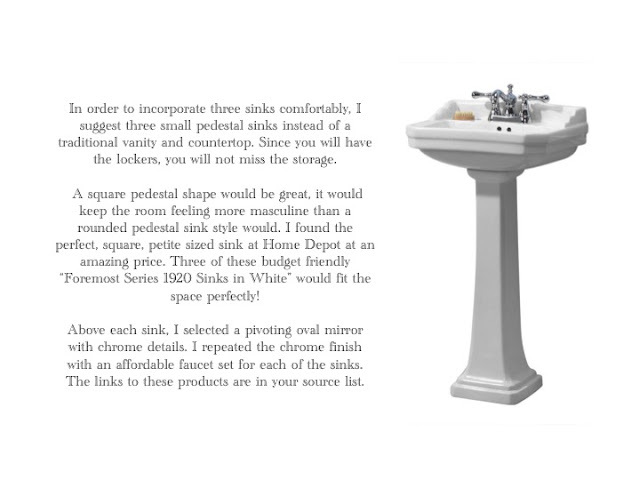 Lockers, Art, Sinks, Faucets, Mirrors, Fixtures, Sconces, White Tile, Gray Tile, Towels, Shower Door.